November 16: Mojave’s own Citizen Service Unit (CSU) graduated the required police academy this Saturday, held at the Mojave Air & Space Port. 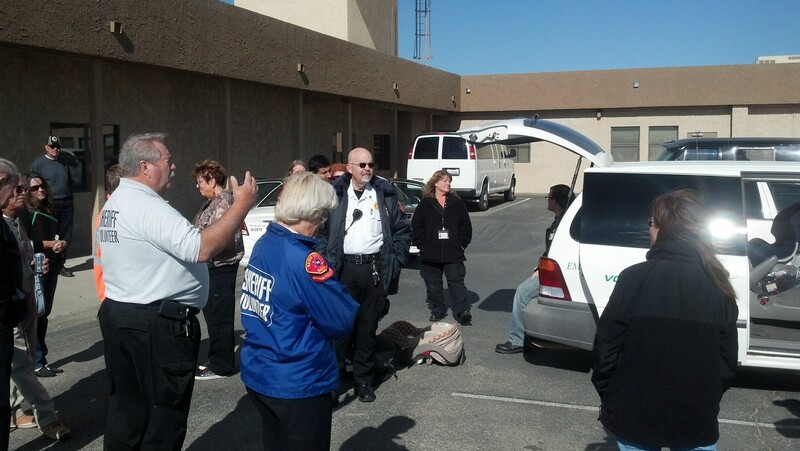 This month’s class contained 18 volunteers from several communities throughout Kern County. Mojave had 7 volunteers go graduate the academy, as part of the first multi-member team of CSU volunteers in Mojave in years. Volunteers will be sworn in on December 5th, and will be in uniform and on the street patrolling Mojave’s neighborhoods soon. This entry was posted in Kern County Sheriff's Office (KCSO), Mojave CA, Security, Volunteer on November 20, 2013 by mojavefoundation. Way to go! So glad Mojave is going to be better protected!